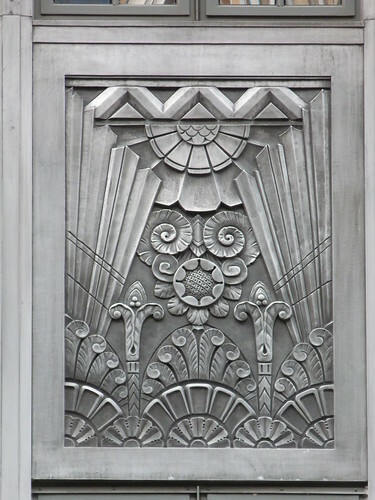 The city of Silver Spring, Maryland have certainly embraced their 1930s heritage with this Deco-style street furniture. 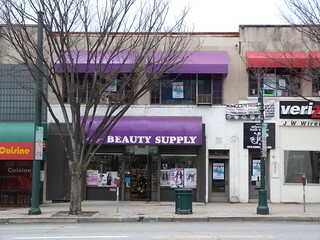 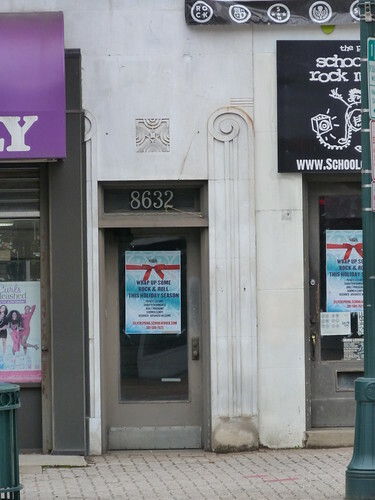 Nice decoration on the side door of this Beauty Supply Store in Silver Spring, Maryland. 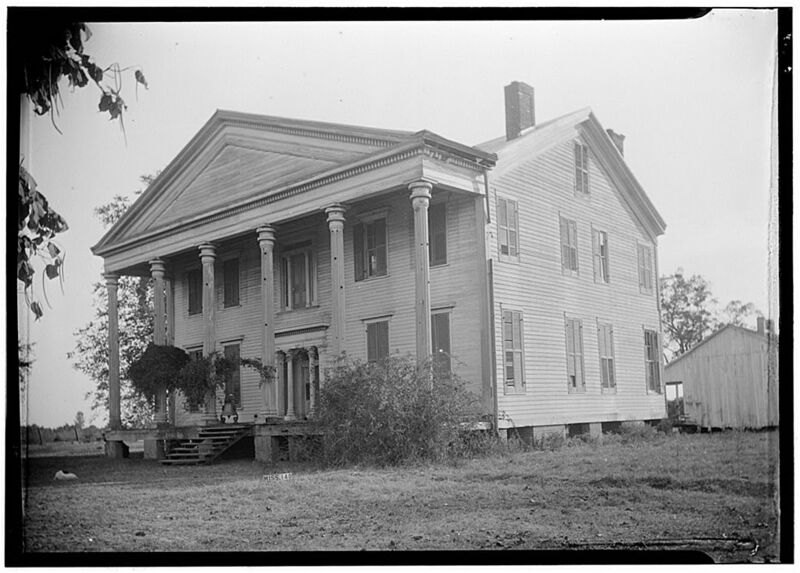 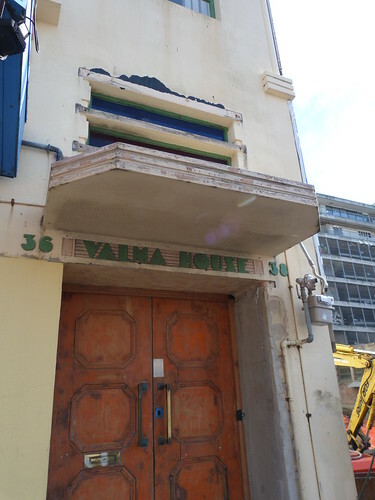 Valma House was built for merchants Van Staveren Bros in 1937. 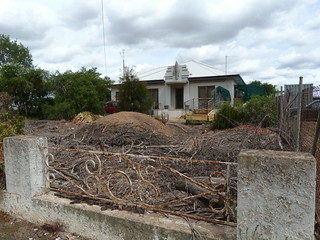 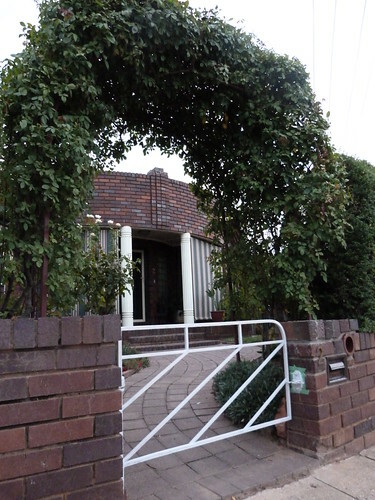 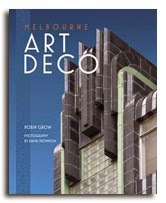 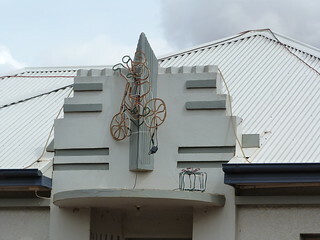 It was designed by Swan & Lavelle. 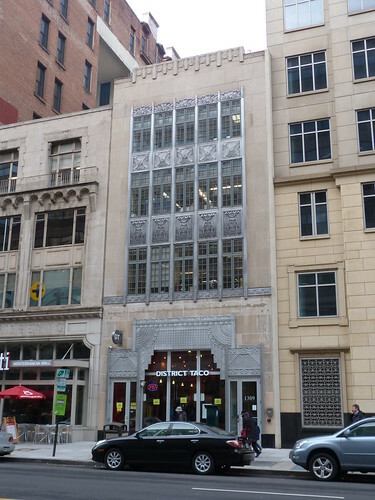 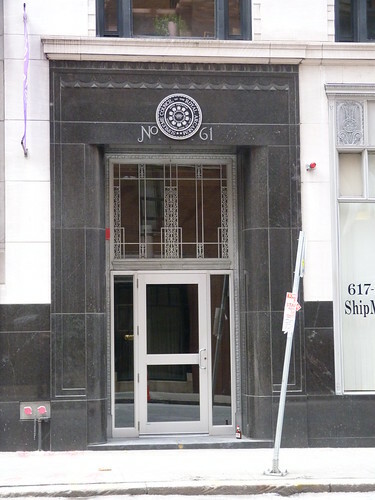 This is the former Boston Automatic Fire Alarm Company building (1936) in Batterymarch Street, Boston designed by Blackall, Clapp, Whittemore & Clark. 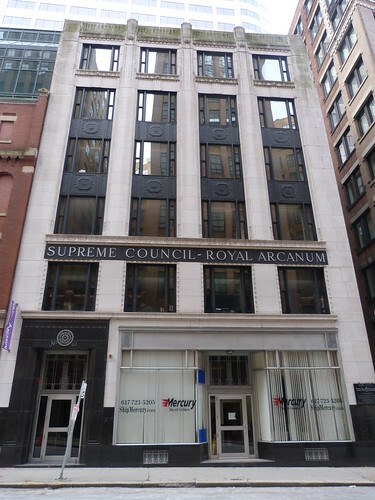 It is now the home office of the Supreme Council of the Royal Arcanum. 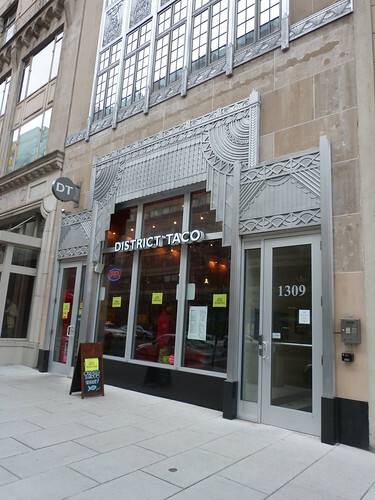 Possibly the most beautiful Taco restaurant in the world! 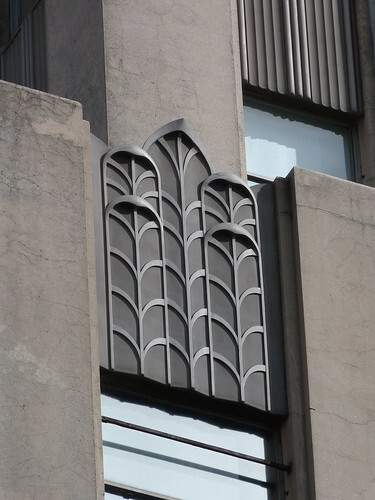 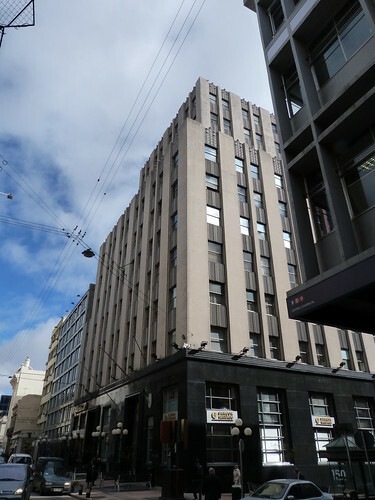 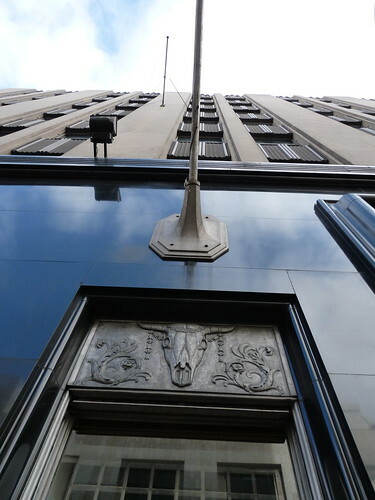 The foundation stone for this building at 254 Willis Street in Wellington was laid on 30th April 1938 by M J Savage, the Prime Minister of New Zealand. 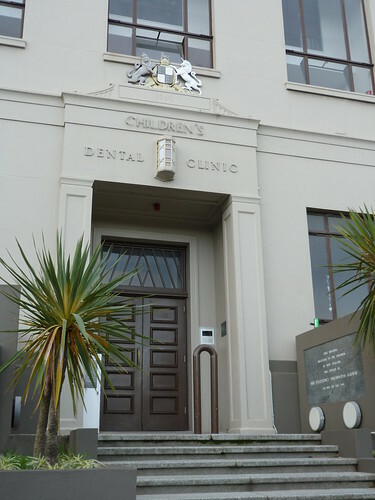 Built on the site of Te Aro School it was the Dominion Training School to train dental nurses for the School Dental Service. 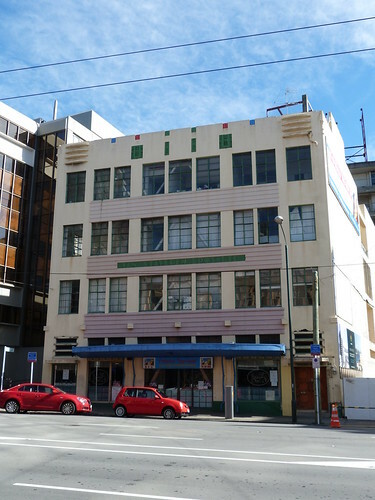 Designed by J T Mair, the Government Architect, it was opened on 14 May 1940 by Viscountess Galway, wife of the New Zealand Governor-General. 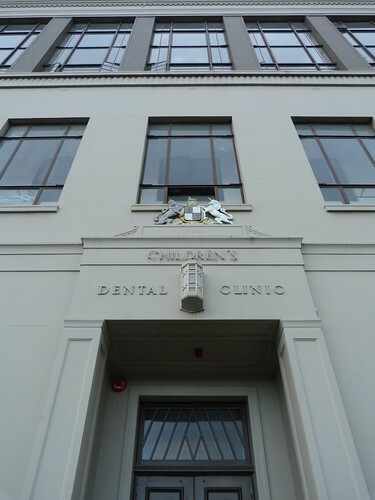 From that time until 1992 children from schools in Wellington came to 'The Dental Clinic' to have their teeth treated. 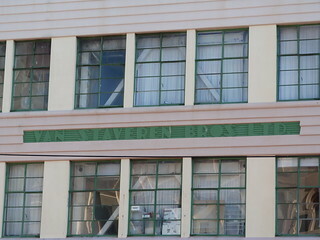 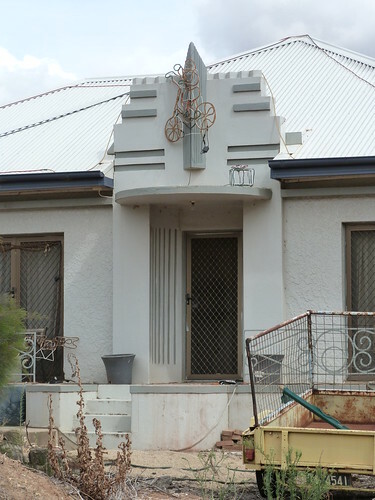 In more recent years, the building has been redeveloped as Augusta Apartments with the original plaques marking the laying of the foundation and the opening flanking the entrance. 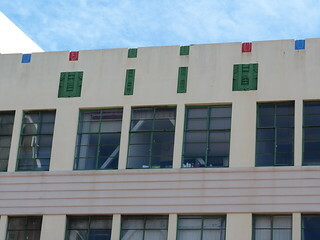 You'll find simple Deco houses like this all over New Zealand. 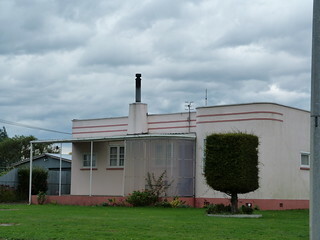 This one is in Dannevirke on the North Island. 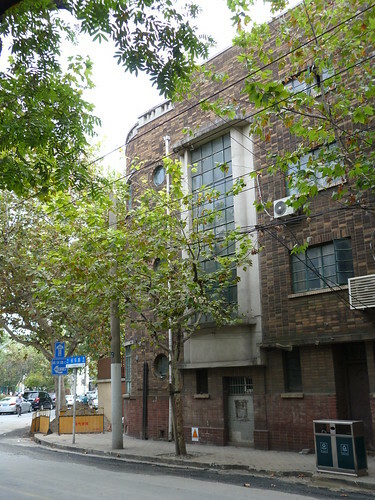 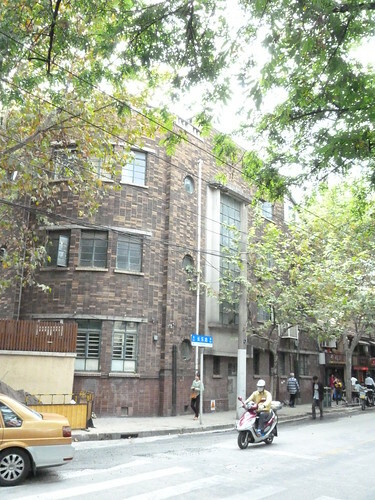 Deco apartments in Changle Road, Shanghai. 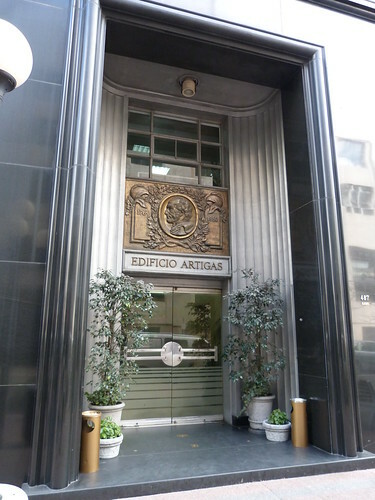 This substantial building in the Ciudad Vieja (Old City) in Montevideo is the Edificio Artigas. 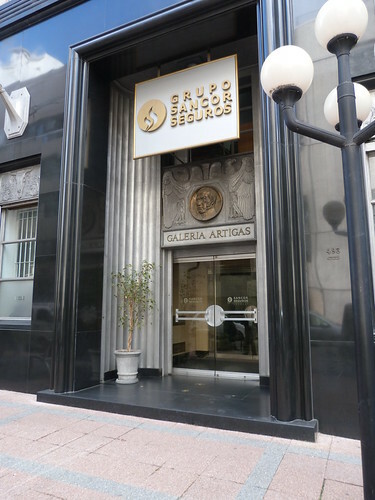 It was designed by architect Joseph Carré and named in honour of the Uruguay national hero General José Gervasio Artigas.